There's a new paper out in Geophysical Research Letters, which looks at global surface temperature. This time the purpose is to compare the observations with climate models. What's interesting is that the authors picked up something that I didn't know about, though scientists probably did. The surface temperature reported from climate models isn't the same as the surface temperature reported as observations. Almost, but not quite. When an apples to apples comparison is made between climate models and observations, then one third of the discrepancy disappears. Here is a chart from Kevin Cowtan that illustrates this. (Read on below for further explanation). Earlier this month, the Open Atmospheric Society, after months of secrecy about itself, finally called for nominations to its board. Investigations by a HotWhopper reader, FLWolverine, revealed who is formally behind the organisation. As most of us guessed, it's the creation of Anthony Watts who runs a conspiracy theory and climate science denial blog WUWT. His co-founder is Joe D'Aleo. They registered the OAS in Nevada back in July 2012. If relevant, encouraging associated journals to conduct a review of the standards and levels for potential adoption. David Middleton thinks he's hit gold at Australia's ABC (archived here). What he's hit is amber. He should have heeded the warning. David wrote about an article that describes how a team of scientists, led by Dr Emma Sherratt of UNE, looked at lizards fossilised in amber, from the Caribbean. An unresolved question in ecology is whether the structure of ecological communities can be stable over very long timescales. Here we describe a wealth of new amber fossils for an ancient radiation of Hispaniolan lizards that, until now, has had a very poor fossil record. These fossils provide an important and previously unavailable perspective on an ecologically well-studied group and indicate that anole lizard communities occurring on Hispaniola 20 Mya were made up of the same types of habitat specialists present in this group today. These data indicate that the ecological processes important in extant anole communities have been operative over long periods of time. ...if you do live in the USA, ple..e..e..ase don't vote for any of the GOP's not a scientists (or any "not a scientist" for that matter), and I promise I won't vote for any Australian denier politician. 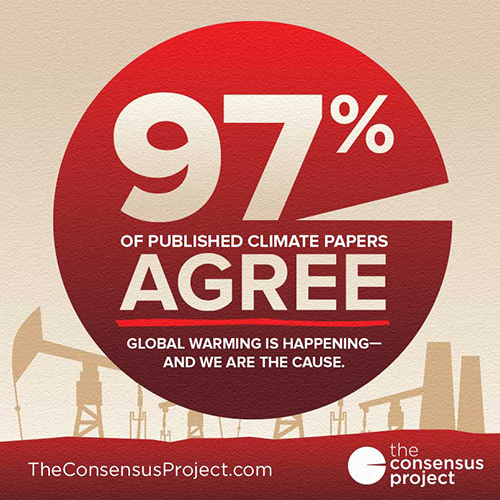 In case you missed it, there's a new paper by James Hansen and lots of other people which is generating quite a bit of interest. It's not been reviewed - it's in the "for discussion" category at EGU's inter-active open access journal Atmospheric Chemistry and Physics. That is, it's not had the final peer review. (See comment from Xavier Onassis below.) That's an interesting model for scientific publication in itself. There are not many journals that do this. I haven't read the paper yet, and even if I had, the paper is quite long at 32 pages not including references and figures (61 pages in total). My articles are long enough as it is. Plus I'd like to wait and see what comments it attracts in the journal itself. Maybe over time I'll write about some aspects of it as shorter articles, rather than attempting to give a view of the whole. From what I've heard, it's a paper that will challenge people - scientists and policy makers and the general public, with lots of food for thought. Today Bob Tisdale has found a new conspiracy theory that he's promoting (archived here). It's much the same as all the others. From his ergonomic computer chair in his basement (is he that advanced?) Bob decided that another group of scientists must be fudging the data. Problem is, Bob doesn't understand the data or how to use it, let alone how the scientists analysed it. A warning that this article is long. I enjoyed writing and researching it. The paper this article is based on is a great example of the sort of effort and thinking required to scope out and quantify the changes we're bringing about. Which is of critical importance IMO. The paper Bob doesn't like this time is by Dr. Lijing Cheng from the International Center for Climate and Environment Sciences in China, and co-authors Jiang Zhu and John Abraham. They have been looking to improve the record of heat content of the top 700 m of the ocean. The paper is called: "Global upper ocean heat content estimation: recent progress and the remaining challenges". As the title suggests, the paper describes recent progress in this regard, and the challenges that remain. In another rather silly article at WUWT, Eric "eugenics" Worrall (archived here) misrepresents a paper just published in Science Express. Thing is that Eric agrees with at least some of what the paper says, so in order to claim that "scientists don't know nuffin'", he makes out the authors say something different. The paper was by a team of scientists led by Professor Alan Cooper from the Australian Centre for Ancient DNA at the University of Adelaide. It was a study of megafauna, using ancient DNA, radiocarbon dating and geological records. What the researchers found was that it wasn't so much cooling that was behind the extinction or reduced populations of large animals, it was periods of rapid warming. 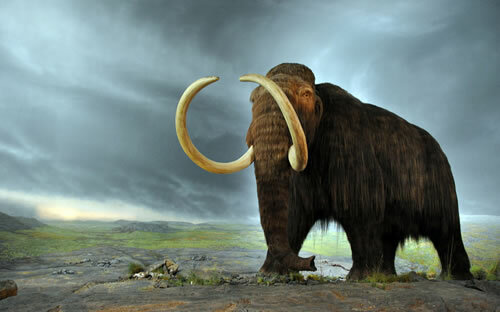 After humans populated more of the world, their hunting, combined with rapid warming, were most likely the main contributing factors to the extinction of these large animal species (such as mammoths). Today the deniosphere has provided yet another example of the crazy and paranoid conspiracy thinking that underpins all of climate science denial. WUWT deniers have wrapped up their paranoia together with one of the other constants of denial - defaming people. The criteria for conspiracist ideation includes assuming people have "questionable motives" at best if not "nefarious intent". That is consistent with the incessant defamation you'll find on denier blogs. It doesn't take much for conspiracy theorising deniers to jump from assuming nefarious intent to assigning nefarious intent and screeching "fraud" and "fakery". This little episode also comes with a less constant but occasional feature you'll see from deniers - that of wishing people dead. Update: See below for a comment by John Cook on the Skeptical Science facebook page. The latest ENSO wrap up from the Australian Bureau of Meteorology indicates that the El Niño is likely to continue to strengthen, with trade winds weakened or reversing. The 2015 El Niño continues to develop. Weakened (or reversed) trade winds have resulted in further warming over much of the tropical Pacific Ocean. All key ENSO ocean monitoring areas have been more than 1°C above average for 10 successive weeks—two weeks longer than the record in 1997. The eastern tropical Pacific is now at or exceeding +2°C. In the atmosphere, the past week has seen the Southern Oscillation Index (SOI) drop to around -20, the lowest values of the event so far. Warning to the bandwidth challenged - one of the files below the fold is rather large (just under 1 MB). Anthony Watts has finally called for nominations to the board of his Open Atmospheric Society (archived here). His article is an excellent example of the Persecuted Victim turned Hero, as described in Recurrent Fury. The Persecuted Victim is one who self-identifies as the victim of an organised persecution. That allows them to present themselves as heroes. At least tacitly, people who hold conspiratorial views also perceive themselves as brave antagonists of the nefarious intentions of the conspiracy; that is, they are victims but also potential heros. Sorry for the pun. This is about an article at WUWT (archived here) which provides another lesson from Denial 101. There's some retired chap (from what I can gather) called Martin Fricke. Ph.D. (nuclear physics) who's now taken up a career as a climate science denier. He can't get published in the scientific literature so he does the next best thing. He writes for a climate conspiracy blog, wattsupwiththat.com. Every month since March, I've posted a chart of the progressive year-to-date global average surface temperature, from GISS. This is the update with June included. I'll repeat the explanation with each update and add what seem to be things to watch. I've added a chart of annual temps for GISTemp, comparing the version put out in June with the (corrected) version put out in July. That's so that you can see what difference the shift to ERSST v4 makes. NOTE: GISS has announced corrections and thanked Nick Stokes (see comments below). Refer to the updated version of this article. Update: I've added a chart of annual temps for GISTemp, comparing the version put out in June with the version put out in July. That's so that you can see what difference the shift to ERSST v4 makes. NOAA to Announce Key Climate Findings: Learn more about the temperature, precipitation and weather events experienced around the world in 2014, tomorrow at 11 am EDT. Dial 1-888-989-9791 with the password “Climate” to join the call and view the slides here (available at 10:30 am EDT). His main headline can't have been a misprint, because Anthony goes on and on about what the May 2015 report is going to show and how he bets that "AP’s Seth Borenstein (and others) will eat that right up and that global image they are pushing will be seen in news world-wide". (He didn't report it.) Reading Anthony's article is a surreal experience. Is it just me, or do you agree? Potholer54 is back with another excellent video, this time about fake experts. He starts with Australia's own Galileo Movement and Bob "not a climate scientist" Carter. The video features a seminal work of Bob's in the International Journal of Feelings:) Watch out for one of WUWT's favourite conspiracy theorists, who fears for his life so much that he contributes several posts a month under his own name at WUWT. Surprisingly, WUWT has foregone the temptation to tell the people who live in the denier bubble that we're heading for an ice age and the Thames is about to freeze up. Then again, Anthony hasn't mentioned any of the extreme weather of the past few weeks either. He might be busy attending to his big announcement that he promised would arrive this last week, but didn't. About the sun - others haven't been so reticent. The Royal Astronomical Society (not to be confused with the Royal Society) put out a press release about a conference paper that was apparently presented at the National Astronomy Meeting in Wales earlier this week. It looks as if it's part of a long time project of Prof Valentina Zharkova, of the Department of Mathematics and Information Sciences at Northumbria University. UPDATE: See below. I've just listened to a NZ Radio National interview with Valentina Zharkova (h/t Hot Topic NZ). She comes across as another "it's the sun" person who doesn't understand climate. So she isn't to be taken seriously when it comes to climate. That doesn't mean that she's wrong about her magnetic harmonic dynamo theory. It does mean she is way out in her estimate of what it will mean for climate. It's probably wise to wait for her published paper and see if it stands scrutiny. Meanwhile anything she says about climate is to be ignored. Reflections from surface and clouds - is there an albedo expert in the house? Wondering Willis Eschenbach is a mite upset (archived here, latest here) because scientists aren't telling him he's right. In fact, they aren't telling him anything at all. And few of the readers at WUWT are helping him out, though a number are encouraging him with "scientists don't know nuffin'" comments. Warnings - This article is long and meanders a bit - I have to call a halt at some point. This is just a blog article after all :) If you are looking for definitive answers about albedo, you won't find them. What you will get are some of the interesting bits and pieces I discovered as I went looking. There's no guarantee I've got it all right, either. This is something I've not explored in depth before now. So feel free to quibble in the comments. the Northern and Southern Hemispheres (NH, SH) reflect the same amount of sunlight within ~ 0.2Wm 2. This symmetry is achieved by increased reflection from SH clouds offsetting precisely the greater reflection from the NH land masses. The albedo of Earth appears to be highly buffered on hemispheric and global scales as highlighted by both the hemispheric symmetry and a remarkably small interannual variability of reflected solar flux (~0.2% of the annual mean flux). Today there's a new review article in Science, by a team of researchers led by Andrea Dutton from the University of Florida, Gainesville. It's a huge review, looking thirty years of research on the effects of melting polar ice sheets in past warm periods. From the University of Florida and the “road to paris, we have to get it done this time department” comes this claim. You gotta love the “out of equilibrium” part, where nature isn’t conforming to their expectations. The cartoon like graphic seems to be designed for grade school consumption, and seems to be equally out of equilibrium with observations so far. Anthony Watts doesn't believe that ice melts when it gets hot. He's denied it on more occasions than I can keep up with. Maybe because he has seen so little ice in drought-ridden California that he's forgotten what it is. Deniers typically have no sense of time either. If something that will happen in coming decades or centuries hasn't already happened then that's proof that it never will - in deniersville. 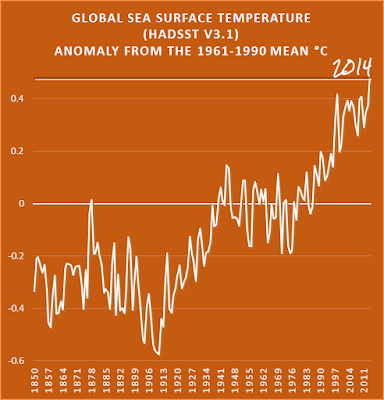 We know that the sea level will rise as climate warms. Nevertheless, accurate projections of how much sea-level rise will occur are difficult to make based solely on modern observations. Determining how ice sheets and sea level have varied in past warm periods can help us better understand how sensitive ice sheets are to higher temperatures. Dutton et al. 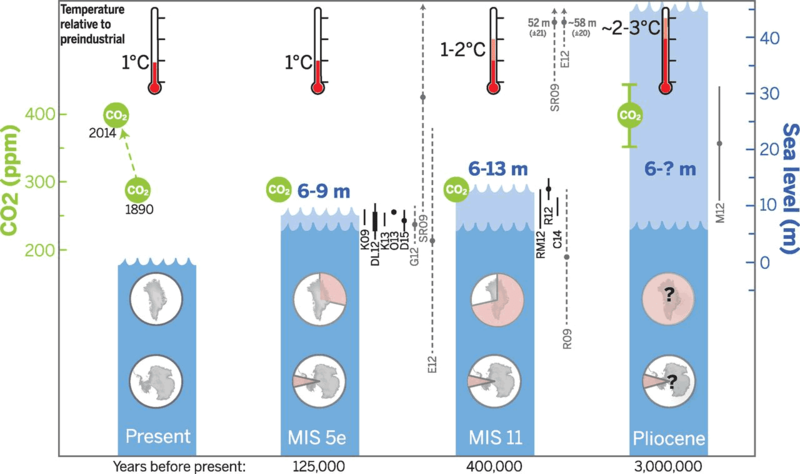 review recent interdisciplinary progress in understanding this issue, based on data from four different warm intervals over the past 3 million years. Their synthesis provides a clear picture of the progress we have made and the hurdles that still exist. There's a figure in the paper that will grab the attention of many people. It shows the peak global mean sea level now and in past warm periods, and the source of all the water. (Anthony Watts didn't like it. He said it looked as if it was "grade school consumption". Going by his comments that means it's too advanced for him to understand.) Click to enlarge. I don't have time to go into any more detail right now. 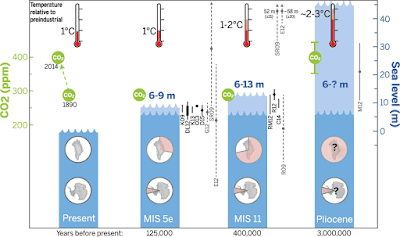 The main message, as shown in the above image, is that ice is going to melt, the sea level is going to rise by several metres. One important thing that still has to be worked out is how soon that will happen. ...After Pope John Paul II faced down the Soviet Union, the hierarchy of the Catholic Church was targeted by the KGB/FSB. They have a lot of patience. The current Pope is the result. Now they have their puppet in the Vatican. His notion that Pope Francis is a KGB sleeper agent is right up there with the best of the multitude of zany conspiracy theories that Anthony Watts promotes on his denier blog. The latest ENSO wrap up from the Australian Bureau of Meteorology indicates that the El Niño is likely to continue to strengthen, in part because of tropical cyclones. Global warming isn't just about heat waves, floods and drought. Combine heat with dry conditions and you'll get more fires. 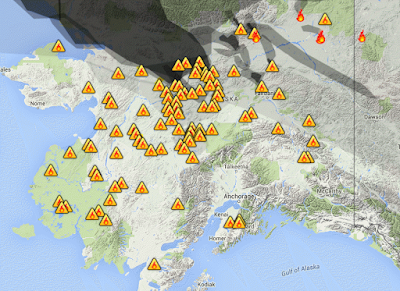 A lot of people in North America are complaining about smoke. Here are some maps showing the current wildfires in Alaska and Canada (h/t Greg Laden). Deniers are ramping up their protests about science. Anthony Watts claims that urging the world to mitigate global warming is a making pact with the devil (archived here). I suppose he would know all about that. In the history of humankind, there is a dearth of examples of global threats so far-reaching in their impact, so dire in their consequences, and considered so likely to occur that they have engaged all nations in risk mitigation. But now with climate change, we face a slowly escalating but long-enduring global threat to food supplies, health, ecosystem services, and the general viability of the planet to support a population of more than 7 billion people. The projected costs of addressing the problem grow with every year that we delay confronting it. In recognition of the shared risks we face and the collective action that will be necessary, an international meeting of stakeholders will convene in Paris next week (www.commonfutureparis2015.org), ahead of the United Nations Climate Change Conference (COP21) in December, to discuss solutions for both climate mitigation and adaptation. Go to Science to read the full article. When is a stormy "claim" not a claim @wattsupwiththat? At WUWT the mood is sombre and dull and boring. There has been nothing of note for a while. You'd never know that Anthony Watts claims he is a "former AMS certified (Seal 676 retired) television meteorologist who spent 25 years on the air". He doesn't blog about weather these days. Instead there's the usual from the resident conspiracy theorist, Tim Ball (of One World Guvmint/New World Order nonsense), and various articles about why the Pope is wrong to accept science. These latter are a bit mixed up, with some saying that the Catholic Church should do a Galileo and reject science, and others complaining that he wants to rob the poor, and others saying he is a marxist and wanting to make the poor people of the world better off (horrors of horrors!) and one comment even claiming Pope Francis is a KGB sleeper agent. On WUWT there is an article by Christopher Monckton (archived here). It's a short article (for him), in which he fudges numbers and mixes up concepts. Anthony wrote what Roy Spencer excitedly thinks is a very clever headline: 2°C or not 2°C–that is the question. Is it the question or is the question something else? It turns out the question was something else - and the answer at WUWT was wrong as usual. The article starts with a graphic from an old slideshare presentation from Jonathon Kooney. A slide which Mr Kooney dropped from his later presentations on climate change, possibly because it was hard to make sense of it. The slide was based on the 2009 paper by Malte Meinshausen and co: "Greenhouse-gas emission targets for limiting global warming to 2°C". Judith Curry has a solution to the extreme heat that lots of people are suffering right now. And the even more extreme heat that we'll be suffering as global warming gets worse. Burn more fossil fuels and speed up global warming. Does it make more sense to provide air conditioning or to limit CO2 emissions. I vote for more air conditioning in these susceptible regions. Good luck with that when the power gets rationed or quits completely from excess demand. Good luck with finding an air-conditioner for your home that's rated for much above 43°C (110°F). You might get lucky and get one rated to 46°C (115°F). Or you might be out of luck. Good luck with the even greater global warming as all that extra CO2 is spewed into the air making it even hotter. And I agree with Greg Laden. If you're going to be utterly insensitive to people's suffering, the least you can do is wait a decent interval until the suffering is behind them. The smartest of these guys will be looking for an exit strategy and will eventually look the other way if anyone suggests they were once on the bandwagon beating the drum. What I don’t want is for these guys to remain in place when this whole scam is exposed. Like Erlich they will just keep coming back with another scare for money scheme. CS due to 2xCO² is ≤ 0.000°K à la Ferenc Miskolczi. Back-pedalling grant seekers are barfing up lower and lower guesswork for CS as time passes, we get colder and the 0.000°K part becomes increasingly obvious. There's a new paper lodged at arXiv.org, which may help explain the apparent delusion of some climate science deniers. Those who wrongly think that they are in a majority, when the reality is that it's a minority of people who reject climate science. The paper is also discussed in the MIT Technology Review from a marketer's perspective. Here's a short article about weather, the sort you won't read at denier blogs like WUWT. London has just had it's hottest July day on record - with the Guardian reporting 36.7°C (98.1°F) at Heathrow. Wimbledon, where play more commonly stops because of rain, shut the centre court roof to keep out the heat instead. There was a warning that train lines may buckle because of the heat. Western Europe is even hotter, with 39C in Paris and almost 44C in Cordoba. Closer to home there is a cyclone, TC Raquel, south of the equator - in July! That's never been recorded in that area at this time of the year since satellite monitoring began. 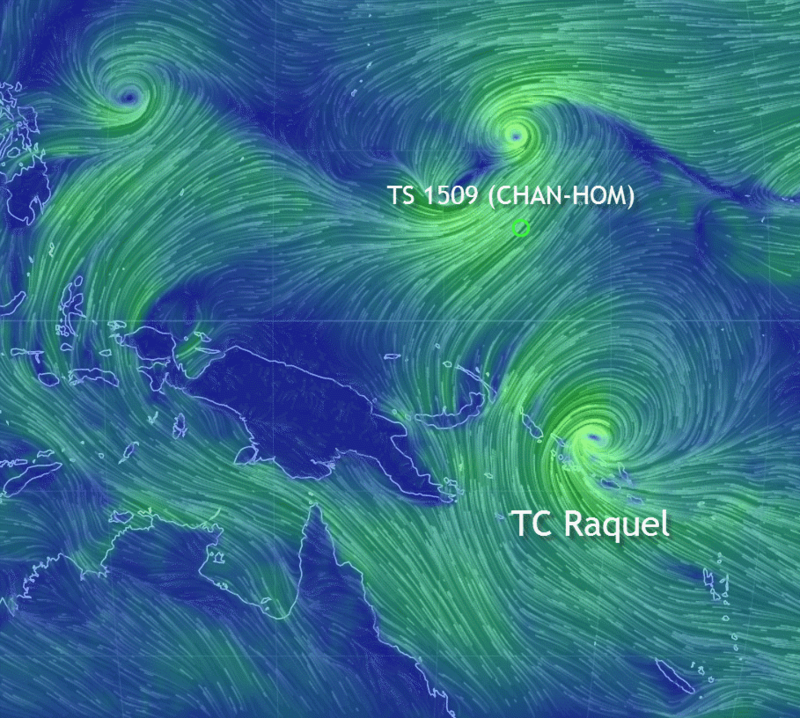 Here's an image from Earth wind map, showing Tropical Cyclone Raquel and Tropical Storm Chan-Hom to the north of it.